Stavanger is one of Norway's larger cities, with more than 127,000 inhabitants and plenty of facilities for event planners. Stavanger Forum: One of Norway;s largest conference and exhibition centres, Stavanger Forum has 30 meeting rooms and can host 5,000 delegates. It also has five multi-purpose halls providing a total of 15,000 square metres of exhibition space. 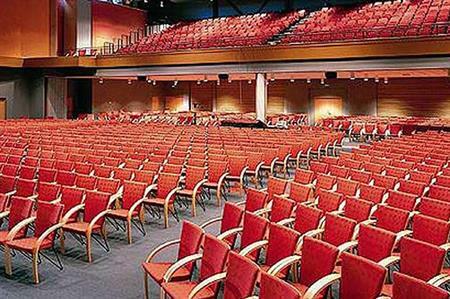 Stavanger Concert Hall: The city's main venue for concerts and shows can host meetings and gala dinners, with a theatre seating capacity for 1,100. It is located in the surroundings of Bjersted Park, a 10-minute walk from Stavanger city centre. Norwegian Petroleum Museum: Up to 80 delegates can be accommodated in this venue, with tours of the museum available. Hall Toll: Renovated from the old customs building, Hall Toll is a restaurant, bar, club and a conference facility with capacity for 350 delegates. Close to Hall Toll, Skansegaten can offer meeting rooms for two to 40 delegates. Hall Toll is located at the edge of the main harbour, Vågen, in central Stavanger.